Whether it is your 1st tournament or your 100th tournament, we are here to provide support through the entire process. U-FLI will do your tournament schedule! U-FLI will provide label documents for your event! U-FLI always has a U-FLI Rep on hand at your event! 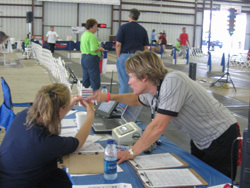 U-FLI scores the titles the day of your event and distributes pins and current points! Last Updated Thursday, April 25, 2019 - 12:52 PM.